When the New York City Department of Education (NYCDOE) began contracting with community-based organizations to provide Universal Pre-Kindergarten programs, Sesame was one of the first programs to join in that important effort. In September, 2001, Sesame became one of the first community-based early childhood programs to receive approval from the New York State Education Department (NYSED) to provide special education programs and services to preschool students with disabilities. Our determination to serve young students with disabilities had a special focus – we elected to integrate disabled students into every classroom. At that moment we changed from simply a great school in the neighborhood to a great school for all children in our neighborhood. We provide that adaptations modification and supports our students with disabilities require to become full participants in our community of learners and to genuinely succeed in classroom routines and activities. NYSED has also approved Sesame to provide bi-lingual Spanish instruction and the related services of speech therapy, occupational therapy, counseling and physical therapy. We provide parent groups and training in Spanish and English as well as a range of enriching programs (art, music, computer instruction) designed to support the success of students in the context of the New York State Learning Standards. Since the 05/06 school year Sesame has further enhanced our curriculum and instruction as one of only a handful of early childhood programs in New York City receiving federally-funded “Early Reading First” (ERF) services. 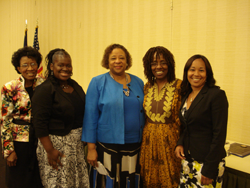 The ERF program had redoubled our agency’s commitment to promoting early literacy skill development through instructional practices using scientifically-based reading research. We can proudly report that our hard work, professionalism and dedication to our students have been recognized this past year by the UPK program when Sesame was designated a “model program”. Sesame Sprout Inc. is also the proud recipient of three outstanding awards. 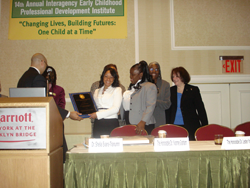 On January 26, 2009 Sesame Sprout was presented an award for an ‘OUTSTANDING EARLY CHILDHOOD PROGRAM’ by the New York State Interagency Early Childhood Professional Development Institute Committee at the Fourteenth Annual Award Program at the New York Marriott Brooklyn Hotel. 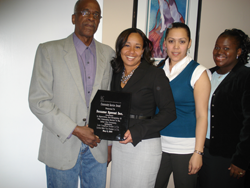 On May 8, 2009 Sesame was presented an award from HELEN SEARS, COUNCIL MEMBER – QUEENS on behalf of THE NEW YORK CITY COUNCIL for ‘Outstanding Commitment to the Community’. Sesame Sprout Inc. received a Community Service Award from the LCTA (Lefrak City Tenant’s Association, Inc.) in appreciation and recognition of Outstanding Service to the Community.